Gigposters.com is awesome, and needs your help! Click on it! Go to Gigposters.com today! Gigposters.com is just about the best website one the entire internets. I know, I’ve looked at almost every site out there. 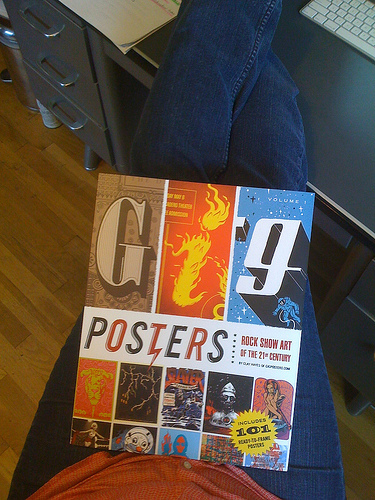 (No, really…) Not only is Gigposters.com my home away from home, the reason that I do what I do for a living as a rock poster artist, it’s also the most comprehensive and amazing resource for art, design, bands, artists, wise-acres, designers, and people who just love lively conversation and dig art. Straight up. And, Gigposters.com needs your help. Desperately. With over 107,000 thousand posters currently (and literally growing every day) for over 98,000 bands this incredible website takes a good amount of time and maintenance to keep running smoothly. And that means money honey. So, this is my personal drive for support and plea for anyone who is already familiar with this kickass site, or to anyone who is perhaps just becoming aware of it now, and sees how rad it it from this link to Gigposters.com here. 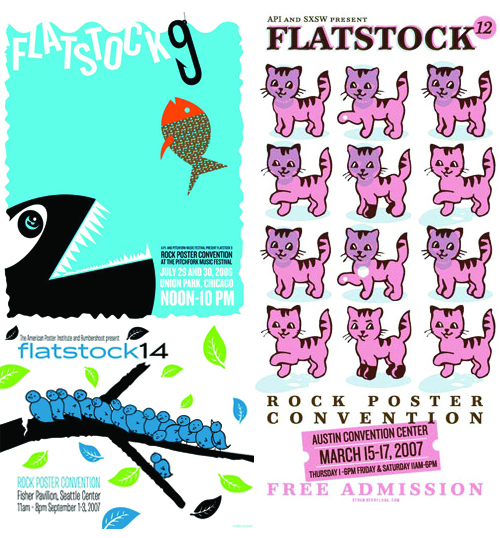 If you love posters, screenprinting, design, kittens, bacon, cheese, intelligent wit, music, bands, and love and/or are a currently working designer, artist, or illustrator, this site is for you. Help support one of the most innovative and cool websites that gave every single working poster artist today a chance to grow and shine. 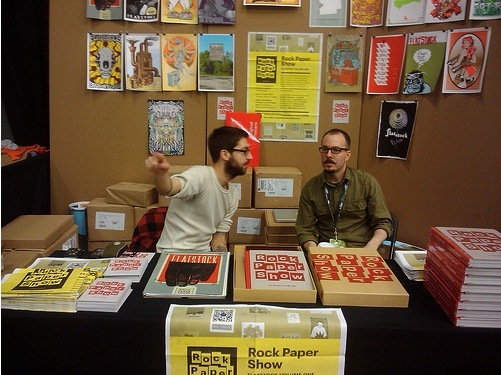 We could never have done it without Gigposters.com. 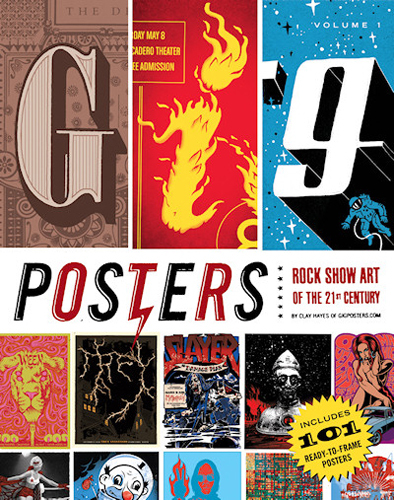 Ways to help include becoming a Premium Member (with rad benefits), buying the new and fantastic Gigposters Book Vol. 1 (complete with exclusive prints by the wonderful Jay Ryan), buying merch or making a donation, no matter how small. Look! I made it easy for you! This might be the coolest book ever. And tons of other really cool and fun stuff, like colorings book with illustrations by over 40 underground artists, (Vol. 2 pictured below) 3 delicious volumes of playing cards with a different gig poster designer doing art for each card (also pictured below), a pin up calendar (hubba hubba! ), t-shirts, hats, hoodies, mouse pads and more. Gigposters.com exclusive Card Deck # 3, uncut sheet art. And so much more. 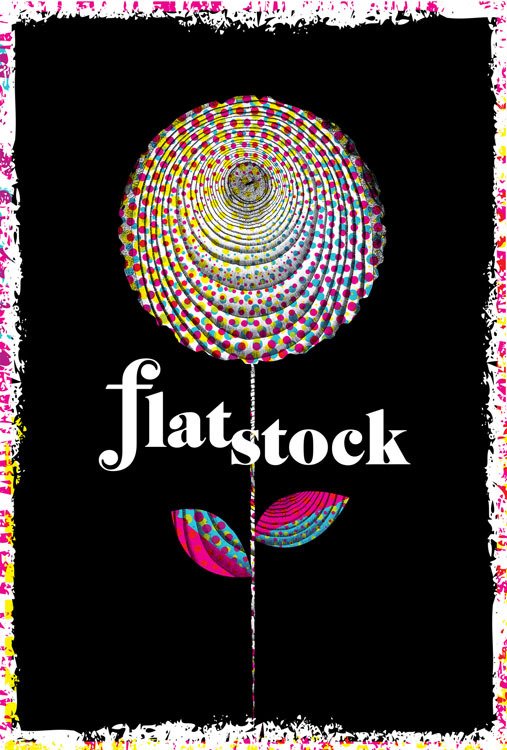 Please visit Gigposters.com today and check out the super cool Merch section, and consider making a donation to this amazing, excellent and vibrant website that supports SO much of the art and design you love. Feel free to pass this information along or post to your own blog. Every bit helps!